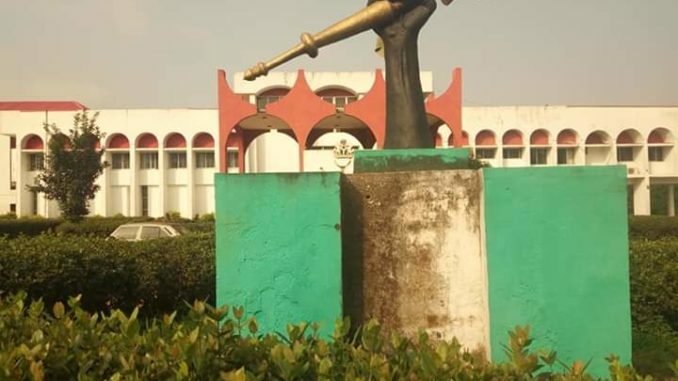 As the 6th Assembly of Anambra State House of Assembly is almost rounding up its session and the 7th Assembly warming up to take up the affairs of law making and legislating in the state come June, speculations have continue to trend on who will take up the mantle of leadership when it is finally inaugurated. You would recall that the official release of the Independent National Electoral Commission (INEC) indicates that the incoming legislative chamber would be dominated by twenty nine (29) male and one (1) female, comprising twenty four (24) All Progressive Grand Alliance (APGA) and six (6) People Democratic Party (PDP) members. Facts are that, the twenty four members elected on the platform of APGA, have two members heading for their third term, while nine members are second timers with the remaining nine being first timers. While the six PDP members is comprising of three new legislators and three second timers. APGA being the majority would be expected to produce the Speaker, Deputy Speaker, Chairman of the House’s Appropriation Committee and heads of other notable principal offices. Political analyst in the state have come out in the independent opinions to say that it would not be surprising, if the high ranking members of APGA which comprises of the third and second timers occupy sensitive legislative offices. 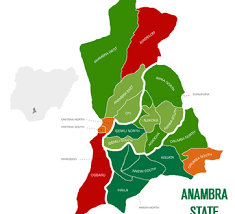 All though it is not certain where the zoning will go, political pundits have predicted that members from Anambra south zones stand a better chance of occupying the third position in the state. Political scientists and observers have said since Governor Obiano is from Anambra North District and his Deputy Nkem Okeke is from Anambra central it automatically puts members from their zone out of the race for the speakership of the House. On the contrary, indications are that, others hold the opinion that lawmakers from central district might also have eyes on the seat probably because the south zone which currently holds the seat is billed to produce the next governor come 2021. As it stands, the highest ranking members of the yet to be inaugurated seventh assembly are members of the present sixth assembly returning for the third term under APGA. They are Obinna Chris Emeneka representing Anambra East and Beverely Ikpeazu representing Onitsha South 2 (who would be the only female legislator at the seveth assembly). Coincidentally, both of them are from Anambra North where the Governor hails from. Observers believe that it is one of the main reason Hon. 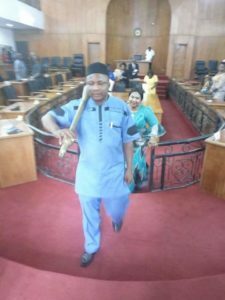 Emeneka is representing Obiano’s constituency, while holding the office of the House Committee on Appropriation, as Chairman. It is however, further suggested by political observers that one of the characteristics and determinant that might be considered on who becomes the next Speaker would be the ability of the personality to command the respect of members and the pedigree to penetrate through other members and the Executive. Ndi-Anambra are fully in the picture of the expectations from findings, as all eyes are on the red chamber in anticipation of the outcome when the time is right.